For shoppers' personalized convenience, Argomall adopts bitcoins and other cryptocurrencies as payment option, in addition to its wide list of payment methods. 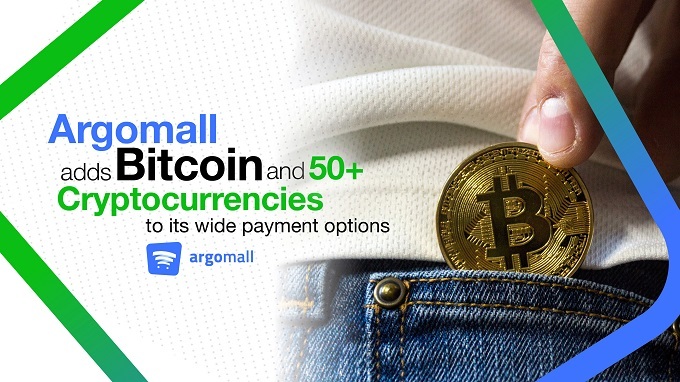 Online shopping website Argomall.com is now accepting payment in cryptocurrencies, and is the first Filipino online retailer in Southeast Asia to accept Bitcoin and around 50 other cryptocurrencies as payment. In line with Argomall’s value proposition of personalized convenience, it has added cryptocurrencies, also called Altcoins, to its already wide list of payment options, which include cash on delivery (COD), credit and debit cards, online installment via Home Credit, online banking, over-the-counter payments in banks and non-bank institutions, G-cash, and PayPal. The cryptocurrency payment option became available on April 1 and is only available for straight payments. Some 2.9 percent of Filipinos are adopting Bitcoin, according to a survey conducted by FT.com, second only to the 3.3 percent of Indonesians doing the same. Overall, Southeast Asia’s cryptocurrency adoption rate is only 2.5 percent. “Technologies like Lightning Network have already made it more convenient and profitable for businesses to accept cryptocurrency rather than fiat,” she added. “We are thrilled to have Argomall on board. Hopefully, Philippine crypto enthusiasts won't stay aside, and will start using this new payment method!"